Ask any (KS2) teacher to name the task which takes them the most time and you are pretty much guaranteed to get the response, "marking". At the beginning of your teaching career, it feels like an endless slog with no light at the end of a very long tunnel. Along the way, you borrow or create certain strategies to reduce the amount of time you spend on it; providing answer sheets, peer marking and, a favourite of mine, using assessment stampers. But still, it is the task which takes the biggest proportion of your time. 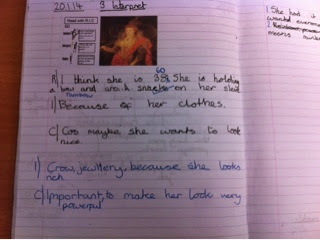 Firstly, it tells me what I need to know in order to personalise the learning in the next lesson. This may require me to change the learning objective, make activities easier or harder, move groups around or go back over something which has not been achieved. It tells me who got it and is ready to move on, who struggled through and who doesn't have a clue. Also, I gain an insight into the volume of work produced in the lesson; with 30+ children in a class, laziness can sometimes go under the radar if books are not checked regularly. Secondly, it gives me the perfect opportunity to truly personalise the learning for each individual child, through comments, questions, suggestions, instructions, quick revisions to support them in their learning, whatever point they're at. 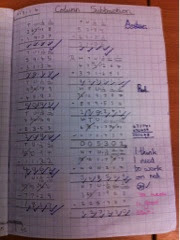 Marking will achieve the first purpose if children's learning is assessed every lesson. This doesn't require any written comments or response but could be accompanied by a stamper for the sake of SLT/OfSTEd or anyone else you answer to! I usually like to use a piece of scrap paper, post it note or the back of the lesson plan to keep notes, write groups or reorganise the next plan. However, it is the second purpose, which only becomes meaningful if acted on by the pupils, that I would like to focus on. Since working with @HTBruce, I have been a big believer in ensuring the time taken on a task results in an equal or better impact on the children's learning. 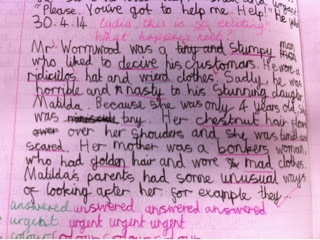 Therefore it hit me hard in my NQT year when, despite my hours of effort marking their books, my class were not reading, let alone responding to, the personalised comments I had lovingly written or prepared for them. I had learned at University the importance of feedback and my comments were appropriate and formative. 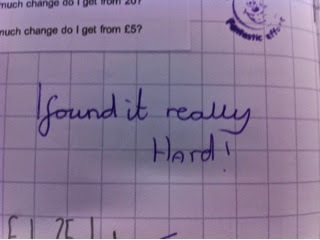 I was also aware of my school's assessment policy and was only marking in depth as often as was required of me. However I hadn't learned the importance of routine and so the comments were making zero impact on the learning while making a big impact on my time - Definitely not the right way round. Early on, I discovered stampers and they helped me cut my marking time (read how and why here) but they still didn't solve my problem. How could I get the children to read and respond to every comment I made? After all, if I was going to spend even the smallest amount of time writing a comment, I needed to ensure it would be seen. I started off giving time in the school day, here and there, to respond to comments. 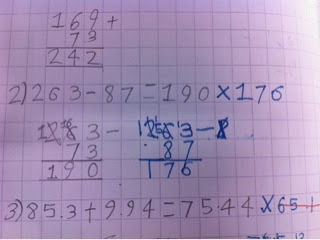 This solved a bit of the problem but there was still about a third of my class who just weren't reading them. It wasn't until this last year, my third in teaching, that I created a routine that meant no comment was left unread or un-responded-to. Simultaneously it improved the quality of my feedback as I was seeing the impact it was having and could adjust it accordingly. My Solution - Gel Pens! Having dabbled around in different routines and strategies, I started the new year armed with a class set of gel pens. 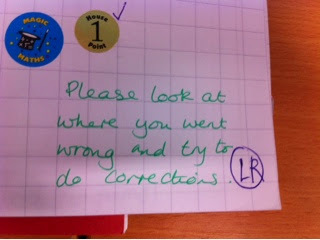 Basically the rule was this: no one was to write the title and date (as required by the school every lesson) without having initialed or responded to any previous comments in gel pen. Why gel pen? I hear you cry! 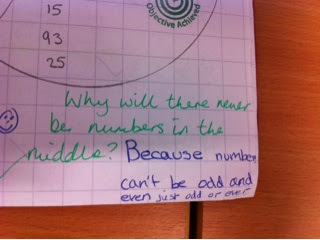 Simply because it creates a physical movement before and after responding to comments and the children LOVE using them! At the beginning of lessons, every child starts with a gel pen. They initial all comments, including stampers, and then they respond appropriately. This gives the added bonus of their corrections or new work being in a different colour so when I/SLT/OFSTEd/whoever looks through their books, the corrections are easy to distinguish from their original lesson work. Once they have read, initialed and responded, they switch to their normal writing implement for the start of the lesson. - circling where mistakes are in own/peer's book. 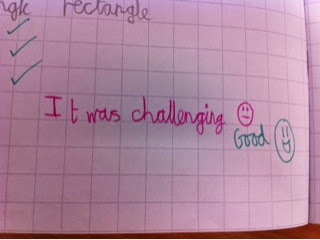 Using the gel pens has made my marking more meaningful. The reading/responding of comments has increased to 100% and it has created learning conversations in books when there is no time in class. Children have become much more willing to make mistakes and they enjoy hunting for corrections. At the end of each lesson, they now reflect on their learning (in gel pen) and write any questions/comments about the lesson in their book. They are expectant of comments or activities which will move them forward when they read my marking; that in turn makes me more willing to write them. 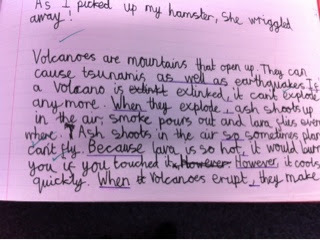 Also, they make my marking more regular and focused on the children's learning, particularly because they call me up on it if I forget! 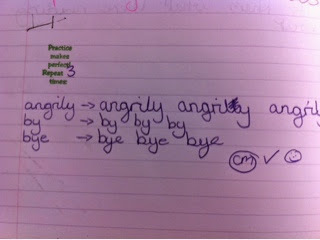 Overall, I enjoy marking more (shock horror!) because of the anticipation of children's responses and the knowledge of the impact it will have; now the time I'm putting into marking is finally making a difference.